Please support our charity by downloading your own FREE certificate (pdf). You can also download our toon version to give as a present to your own children or your local school – they’ll love getting an illustrated membership certificate. We need everyone’s help to discover better ways to keep our global human society in good health alongside the Earth’s wonderful World of Nature. 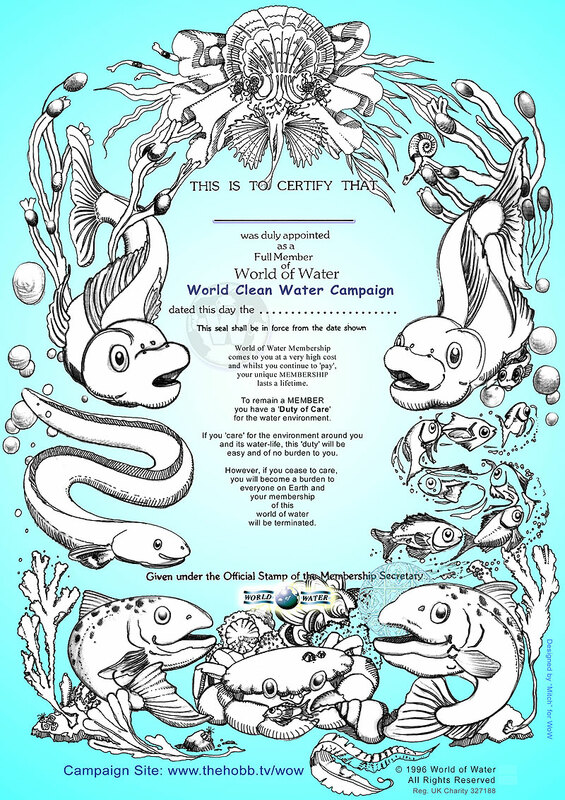 Everybody’s got talent so come and combine your energies with ours and let’s make sure than in this shared World of Water, every person counts and every creature is respected. Show that you care about the whole World. Let us know by email (see image below) how you feel about important water issues like pollution, over fishing, pumping aquifers dry, dam construction, water on Mars or even the water in your tap. 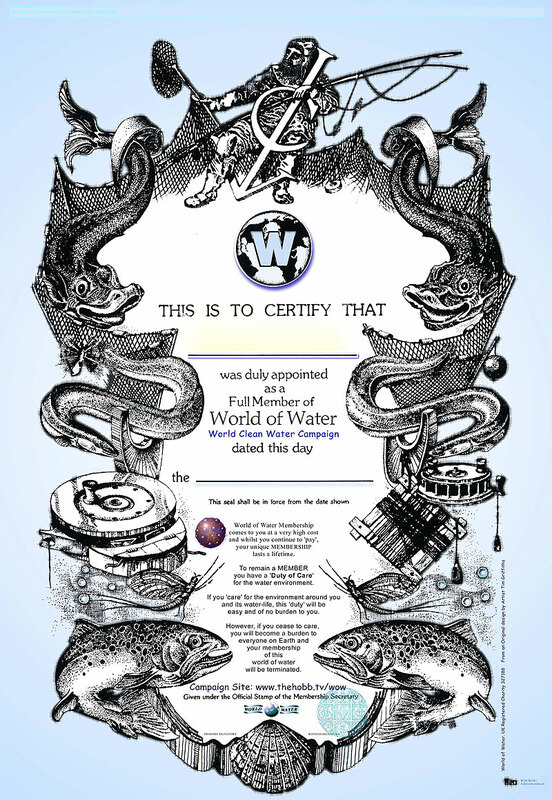 Water matters, and so do your views on water. If you would prefer to make a comment, either privately or here for us to publish and share, then visit our comments page and make sure you type 058 at the beginning of your comment to grab our attention and show us you’re for real. Thanks.